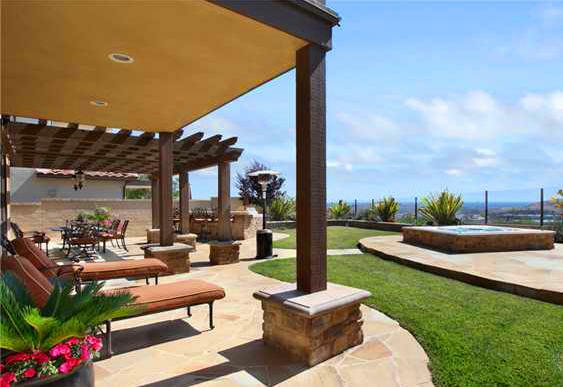 Located in the coastal town of San Clemente, with an approximate three miles distance to the beach and a hilly terrain, Talega homes and condos often get something much searched for in a home in Orange County: ocean views from the house's backyards, family rooms or second stories . For some lucky locations, there's even panoramic Talega ocean view homes. Most of the ocean view homes have glass fences to provide dramatic and clearer views and some neighborhoods have more inventory with ocean views than others, depending again on where they are located within Talega. Search all Ocean View Homes currently listed for sale in Talega. For more information about any of the homes or condos listed here, contact us or call us at (949) 888-6788 for a showing! Ocean views can be found in almost every neighborhood in Talega, but not every home has it. From the condos in the Village where a peak a boo ocean view can be seen from some, to the semi custom Altura and Lucia estates, or the gated Careyes - which also feature golf course views, for an incredible backyard setting. 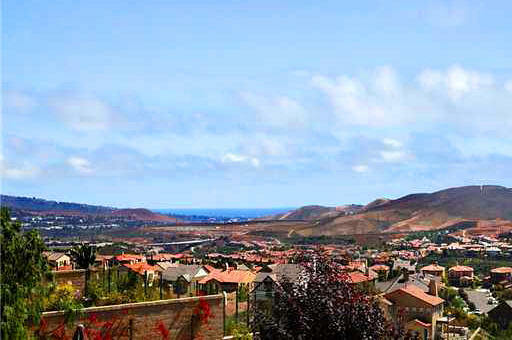 For the most part, the neighborhoods located along Avenida Talega are the ones with more options for ocean view homes and more panoramic ocean views, or the neighborhoods located around Nob Hill , like Pacifica or Montellano.